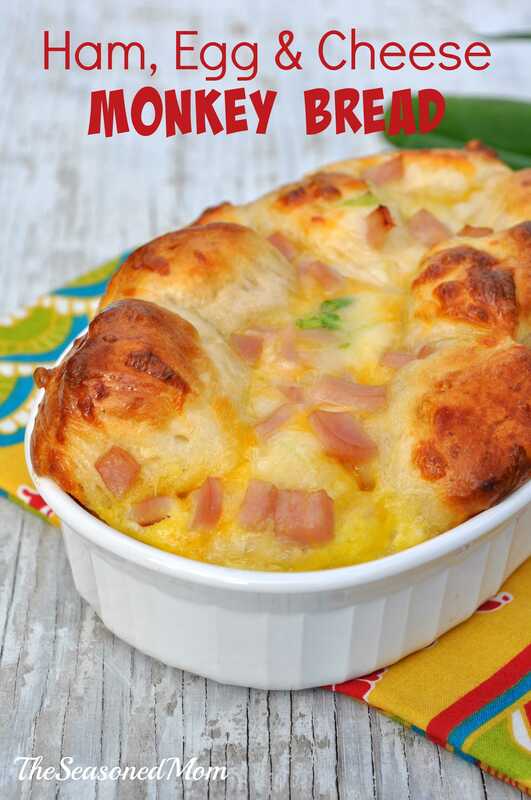 An easy, healthy, make-ahead breakfast, lunch, or dinner option that pleases kids and adults alike! 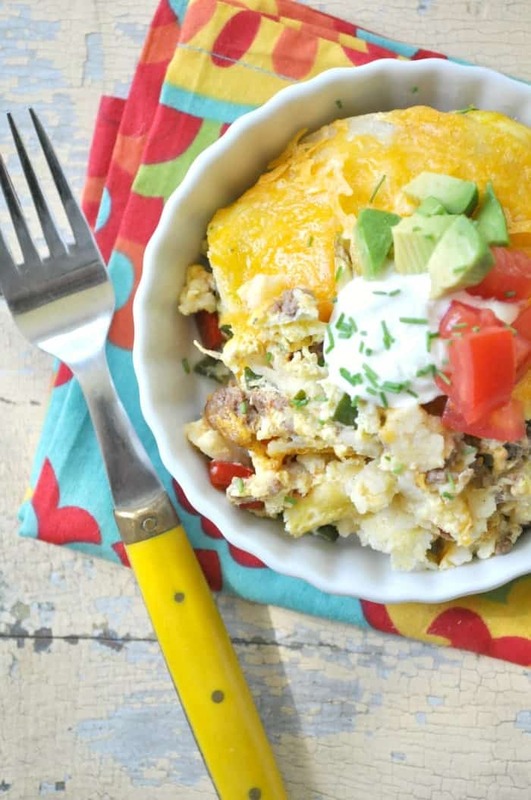 This Skinny Mexican Breakfast Casserole is packed with flavor, protein, veggies, and CHEESE! 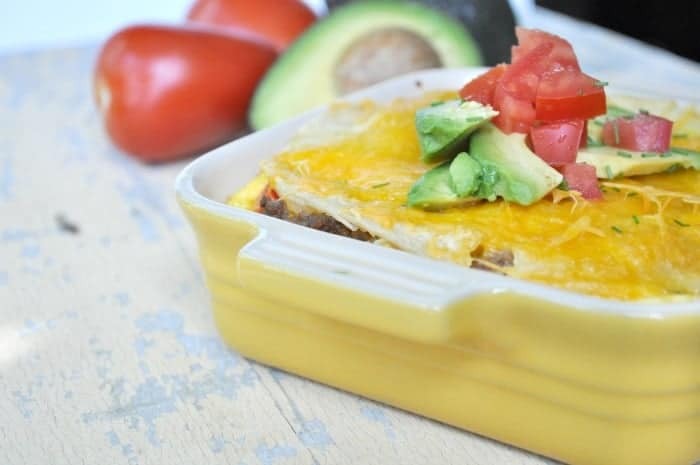 It’s a delicious and nutritious way to indulge your cravings for zesty South of the Border brunch fare at any time of day. Happy Cinco de Mayo! Boy, do I have a treat for you today! This has seriously become one of my new favorite recipes. I can’t get enough!! I’ve made it multiple times over the past couple of weeks, and I’ve enjoyed every last bit of left-overs in between. It’s not fancy, but it’s easy, fast, and absolutely incredible! 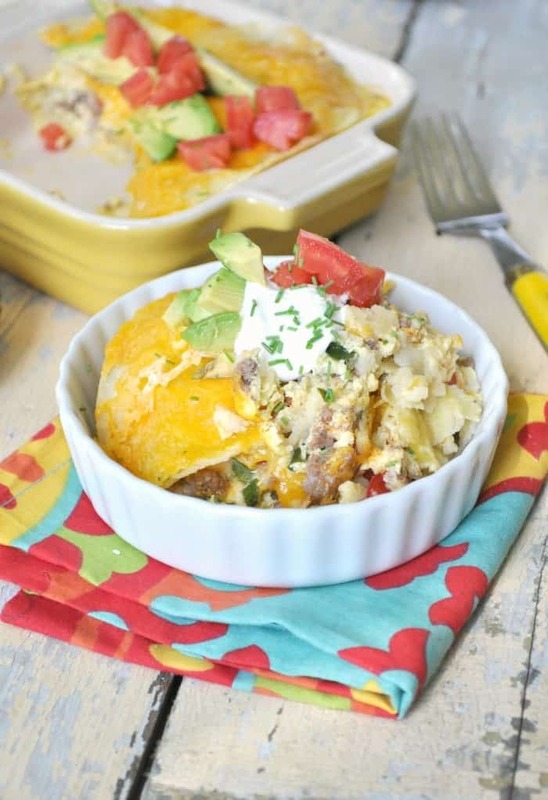 I layer corn tortillas with lean ground beef, cheese, peppers, onions, taco seasoning, and plenty of eggs (that’s where the “breakfast” part of the title comes in!). It’s so hearty and filling that you will never feel like you’re missing out on calories or taste. Thanks to all of that lean protein, it sticks to your ribs in the best way possible! 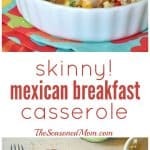 I actually like to serve this casserole for dinner since every one of my kids loves it, but I also enjoy the left-overs for breakfast in the morning. 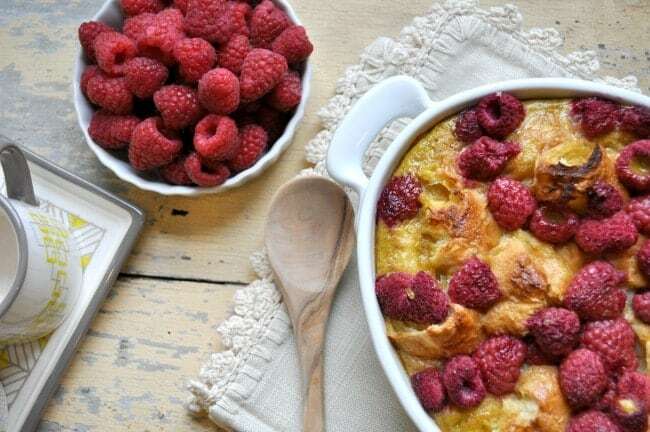 Since it’s an easy option to make in advance, I usually prepare it in the morning and leave it in the refrigerator until I’m ready to bake it. 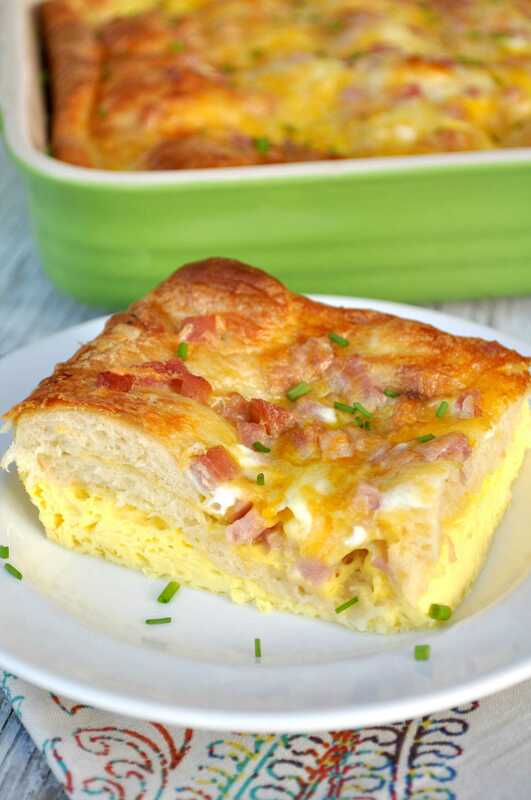 If you’re serving this dish for brunch, however, you could easily assemble it the night before so that you only have to throw it in the oven when you wake up. I love a minimal-prep, hands-off casserole that serves a crowd, tastes delicious, and is still healthy as well! Preheat oven to 350 degrees F. Spray a large 13-inch by 9-inch baking dish with cooking spray and set aside. In a bowl, stir together ground beef and taco seasoning. Add red pepper, green onions, and 1 cup of the cheese. Toss together. In a separate large bowl, beat eggs, egg whites, and milk with a whisk until combined. Place 3 tortillas in the bottom of your prepared casserole dish, tearing if needed to fit the bottom of the dish. Top the tortillas with half of the beef mixture. Layer 3 more tortillas on top, then top those tortillas with the remaining beef mixture. Top that layer with the 3 remaining tortillas. Pour egg mixture over tortillas. Sprinkle remaining ½ cup of cheese on top. Cover casserole tightly and bake for about 45 minutes, or until the center is set. Remove the cover and cook for an additional 5-10 minutes to allow the cheese on top to brown and crisp slightly. Serve with salsa or diced tomatoes, sour cream, avocado, or guacamole. 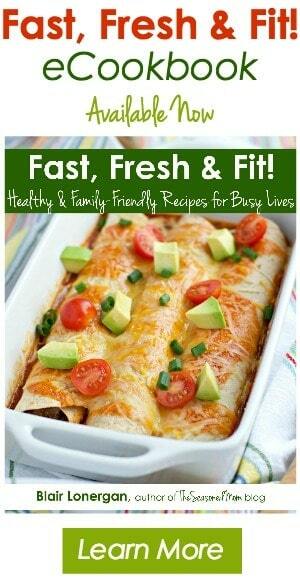 If you love healthy and easy recipes, you should check out my eCookbook, Fast, Fresh & Fit! 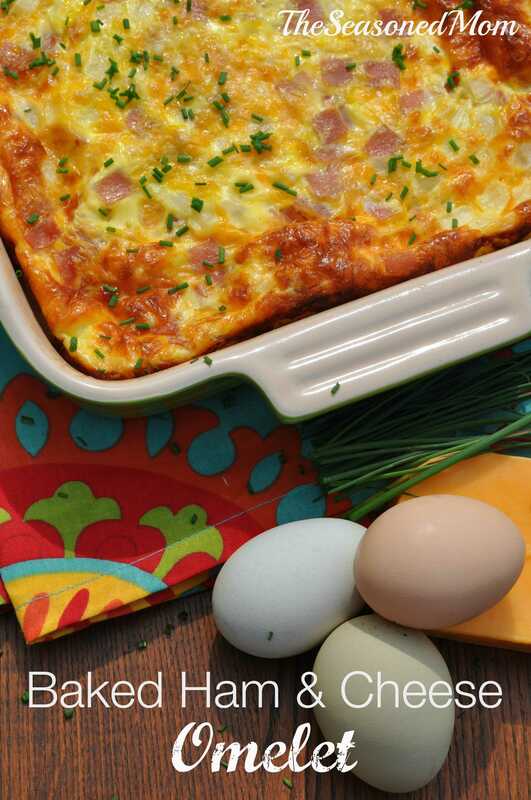 It includes 30 of our family’s favorite quick-prep recipes for breakfast, lunch, and dinner. You can learn more HERE! Yum! This looks delicious. 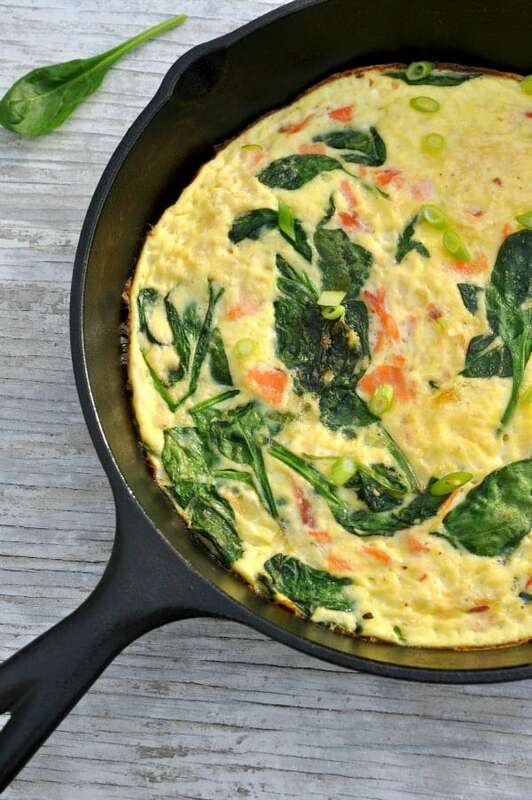 We would love it as a breakfast for dinner as well. This is definitely up my alley and my kids will love it too! Thanks for the recipe, Blair! Pinning! Thanks, Michelle! Yep, it’s one of my favorites! Hope your family loves it! Wow, this looks amazing. I especially like the fact that it is “skinny”. Pinning this and definitely making it. Thanks, Beverly! It’s one of my favorite recipes recently. The leftovers are just as good! !